Sang Kim is the Community Bank President of Wells Fargo's Delaware Valley North region, which consists of Bucks and parts of Philadelphia and Montgomery counties. He has offices in Plymouth Meeting, PA and Philadelphia. 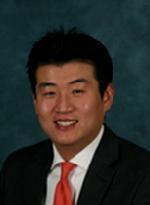 Sang has been with the company since 2003, joining Wachovia as a Financial Specialist in the Bucks County market. He then served as the Financial Sales Leader in the Mainline area in Pennsylvania where Sang led 13 branches and more than 100 team members. He then moved to the Washington DC area to serve as the Retail Service Director leading 80 branches and more than 900 team members. Sang also expanded his services to the Business Banking segment, leading a team of 18 Relationship Managers in Washington DC, Northern Virginia and Southern Maryland. Sang has a Bachelor of Science degree in Economics with concentrations in Finance and Multinational Management from the Wharton School of the University of Pennsylvania. An active member of the community, Sang volunteers his time to the Junior Achievement, United Way, Institute for Corean-American Studies, and various local Chambers of Commerce.